I read this book recently as part of my quest to read the classic books you ‘must read’. I have to say I find a lot of these books hit and miss, some of them like Dracula are hard to put down whereas others, like ‘Little Women’ are long winded and quite frankly boring. 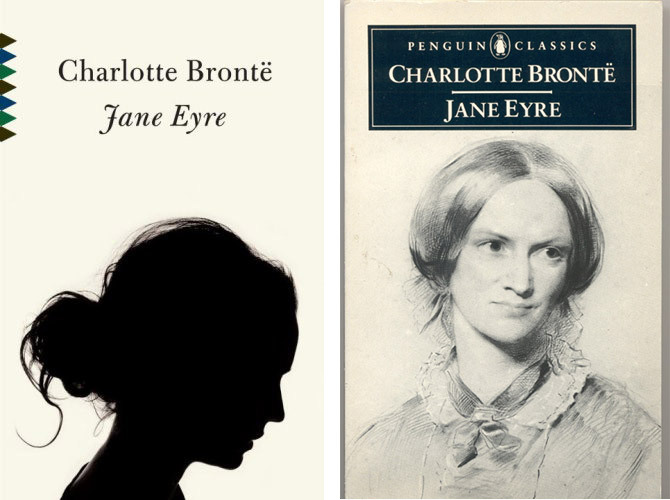 When it came to Jane Eyre by Charlotte Bronte I had mixed feelings. I was surprised at the beginning of the book, the tale was building up to be a Gothic supernatural mystery but alas that element of the story fell away to be replaced by the romantic relationship between Jane and Mr. Rochester. Jane Eyre was a fascinating character in my opinion, she rejected social norms entirely, refusing to be the quite lady in the corner. I enjoyed her refreshing honesty and her sense of justice. No character in the book was ever going to get an advantage over her and she continuously took the harder option when presented with an easier life. Mr.Rochester was an equally fascinating man. He was an emotional character, who spoke his feelings openly. He was neither masculine or classically handsome. I enjoyed how he and Jane loved to try and rile each other up with various tales which aimed to displease their lover just for the fun of it. Their relationship was an unconventional one, it was a real relationship, void of the Hollywood portrayals of romance, they were simply two people who adored the passion that existed in each others hearts. Although I did enjoy the characters in the story I felt let down in a way by the story itself. Jane was frequently awoken by strange sounds in the dead of night in Thornfield and the story took a supernatural element. I did not know anything about the book before reading it so I took pleasure in the anticipation of reading another Gothic novel. I was sadly disappointed to learn that the strange sounds at night had a perfectly rational explanation and there was no huge mystery to be solved. Bronte’s writing is eloquent and descriptive, she was brilliant at describing the raw human emotions one might feel when they are in the trials and tribulations of love. I enjoyed the story to a point, I always knew Jane and Mr.Rochester would finally get together in the end in some form. I also felt let down in a way that Jane became rich by inheritance and not by her own hand. She was such an independent innovative woman, I felt her character would have been justified if she became self sufficient in another way besides coming into money by chance. I liked reading Jane Eyre to a point, the romance is an interesting tale but I felt it could have been a fantastic novel if the author explored the mystery in the manor in another fashion and developed it more. That said, I can see why many people hold this book up as the greatest romantic novel of all time and why Jane Eyre is such a feminist icon. It is original and challenges the perceptions of women in society. Yes you are entirely right-Jane Eyre provides a model to be followed. GWTW wasn’t a book I liked and it seems time isn’t doing it any favours in it’s longevity as one of the great novels! Thanks for commenting! I first read Jane in 8th grade, then much later as a young adult. I love Jane, I think because she is a “plain heroine”, as I am. Perhaps many women identify with Jane because they are looking for reassurance that even without great beauty they can find love. I wasn’t so bothered by the attic noises having an explanation…a madwoman in the tower felt pretty thrilling to me. Jean Rhys wrote a novel (can’t remember the name) based on the Grace Poole character, which is pretty interesting. You’ve inspired me to read Jane again, thank you !